Once again, the UCI has selected the top Mountain Bike World Cup events this season, as chosen by riders, the teams, sponsors and the media (our editor was one of the media selectors). There are three awards for the three disciplines - Cross-country, Downhill and Eliminator. Cross-country - Nove Mesto na Morave, Czech Republic. For the third consecutive time, Nove Mesto has been selected as the top XC race of the year. Despite being over 90 minutes from any major center, the fans come out in droves - primarily to cheer local heros Jaroslav Kulhavy, Ondrej Cink and Katerina Nash, but they also encourage each and every rider; most by name. The course is a combination of long open climbs and technical rock sections, and every year produces excellent racing. 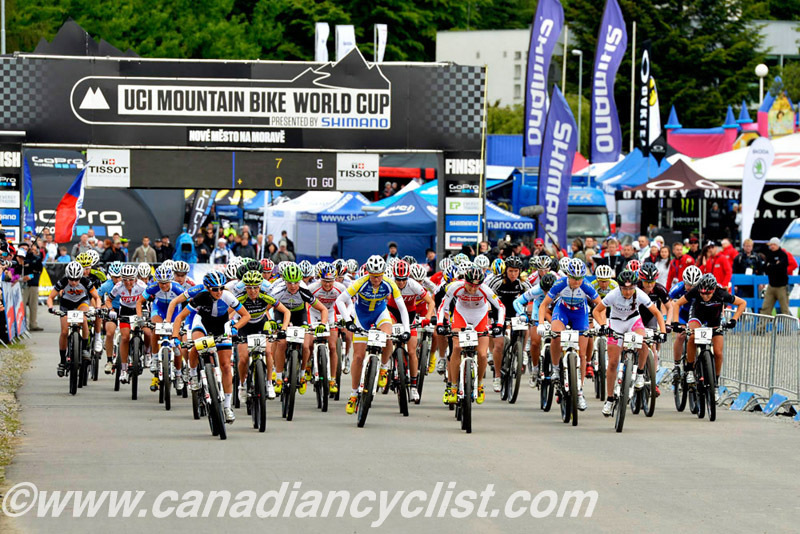 Albstadt (Germany) finished second in the voting and Canada's Mont Ste Anne was third. Our editor chose Mont Ste Anne first for Nash's first ever WC win and Absalon's comeback win, followed by Vallnord (Andorra) and Albstadt (Germany). Downhill - Fort William, Scotland. This was the second consecutive win for Fort William, this year hosting its 12th World Cup. Fort Bill is the Downhill mecca, with the longest run on the DH circuit testing riders. It also has some of the craziest fans and the extremely annoying 'midgies' - tiny no-see-ums that get into all clothing and bite you all weekend... This year it was the opening round of the DH series, and the Atherton duo - Rachel and Gee - took a joint win, to the delight of the partisan crowd. Leogang (Austria) and Vallnord tied for second. Our editor picked Mont Ste Anne for the incredible home win by Steve Smith (the first of three that would eventually see him crowned World Cup champion), and the first time this season that Rachel Atherton was beaten. He picked Vallnord second and Hafjell (Norway) third. 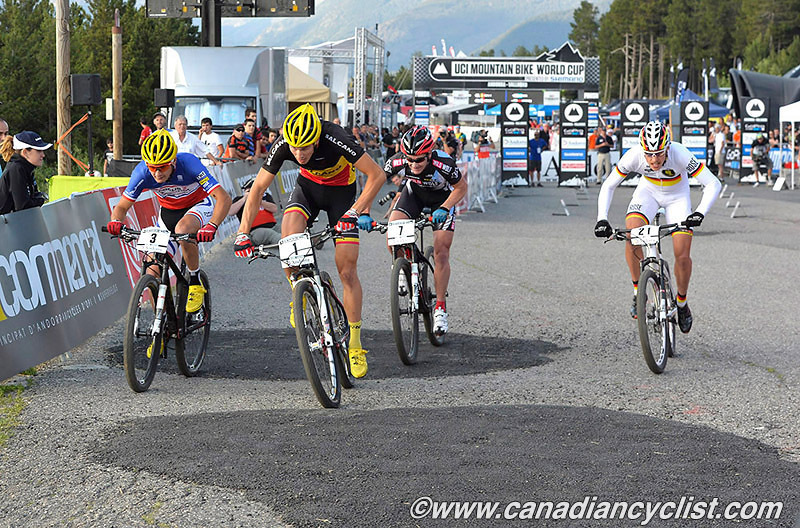 Eliminator - Nove Mesto and Vallnord, Andorra (tie). This is the first year that the Eliminator has been a full World Cup series, and it proved to be very successful. There were a few complaints about wildly differing styles of courses, but that just meant no one rider was favoured. 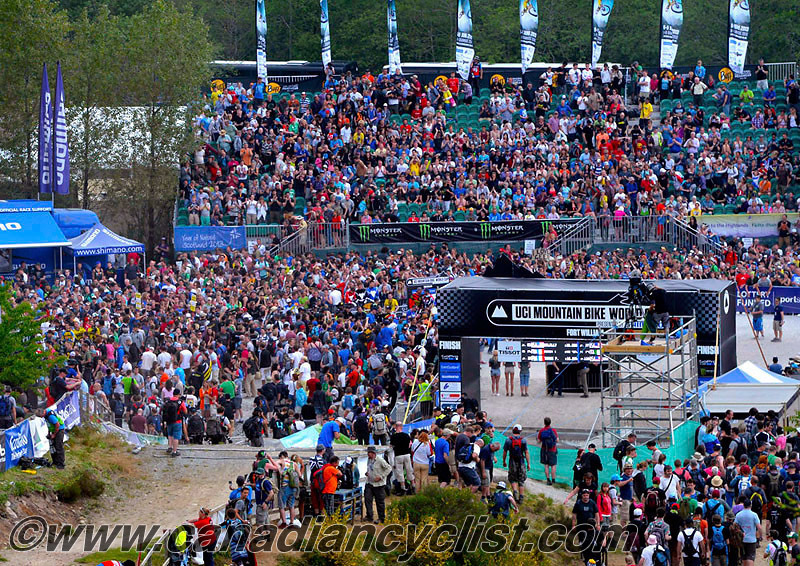 Nove Mesto can be thought of as the home of the Eliminator, with very strong fan support. Vallnord put together one of the most interesting courses of the year, which saw multiple lead changes and exciting action in both the men's and women's races. Albstadt took third in the voting. Our editor picked Vallnord for exactly the reasons listed above, followed by Albstatd and Hafjell.